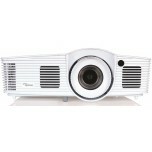 Founded in 2002, Optoma specialises in the design and manufacture of high quality projectors, fast gaining in popularity and accessibility for home entertainment. 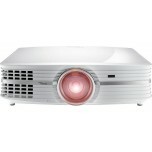 Optoma's latest 4K projectors for home cinema allow consumers to experience 4k images at a very attractive price. 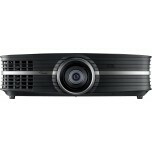 The 4k projector models blend high-calibre image processing technology with cutting-edge engineering, which results in delivering vibrant images with unparalleled clarity and detail. 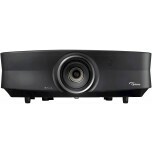 Optoma’s models are designed specifically for professional AV and discerning home entertainment viewer in mind. Alongside the projectors, the brand has expanded into high-resolution audio equipment with the Nu-Force range, which comes from their recent acquisition of the Californian brand in 2014. This forward-thinking and opportunistic acquisition reflects Optoma’s innovative frame of mind, and consequently, the nu-force tie-in allowed the company to be the first to bring audiophile quality to desktop DACs and headphone amplifiers. Optoma delivers engaging visual and audio experiences for a connected world. 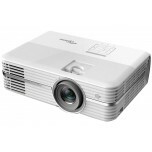 Customer-centred and focused on user experience, Optoma projectors merge flagship image-handling capabilities with industry-leading engineering and innovation to provide remarkeable crystal-clear pictures with superior reliability. The award-winning range features DLP technology by Texas Instruments. Their commitment to highest-quality has led to global recognition including being named the number one consumer projector brand by PMA Research (Europe, Middle-East and Africa 2018). Optoma is a truly global brand, covering Europe, the USA and the Asia Pacific. Audio Affair is proud to stock this progressive and pioneering company. 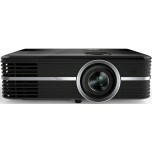 Explore this brand page to discover a range of accessible yet high-calibre projectors. 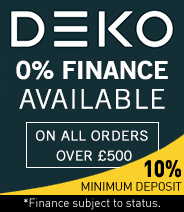 What Hi-Fi Award 2018 "Best projector -£1500"
What Hi-Fi Award 2018 "Best projector £1500+"